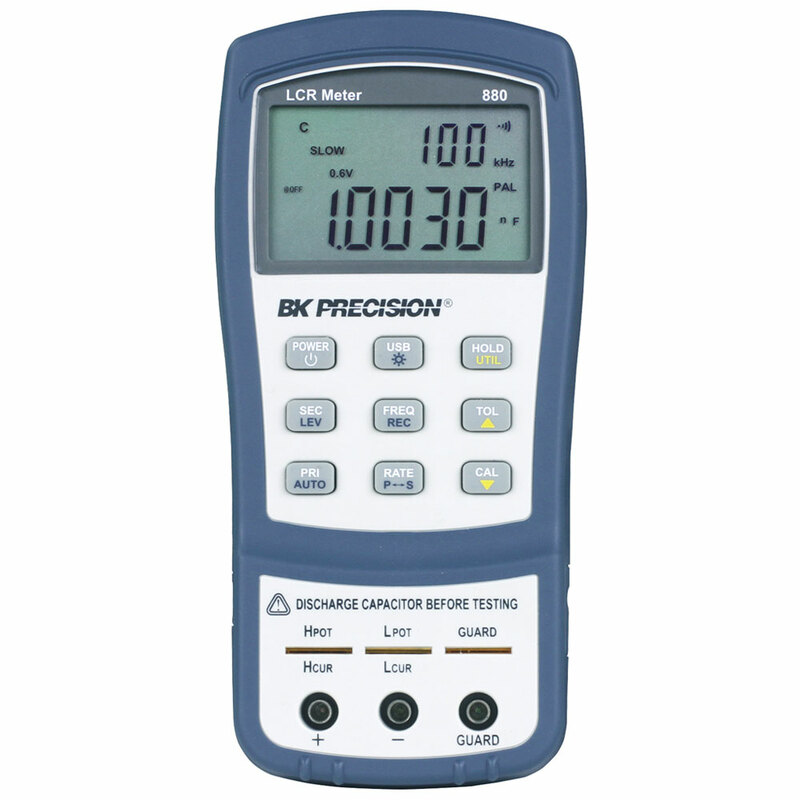 Fast auto ranging and quick measurement configuration such as measurement parameter and test frequency selection make these meters very simple to operate. The meter also includes handy functions such as data hold, Min/Max/Average recording, tolerance sorting, and relative mode. 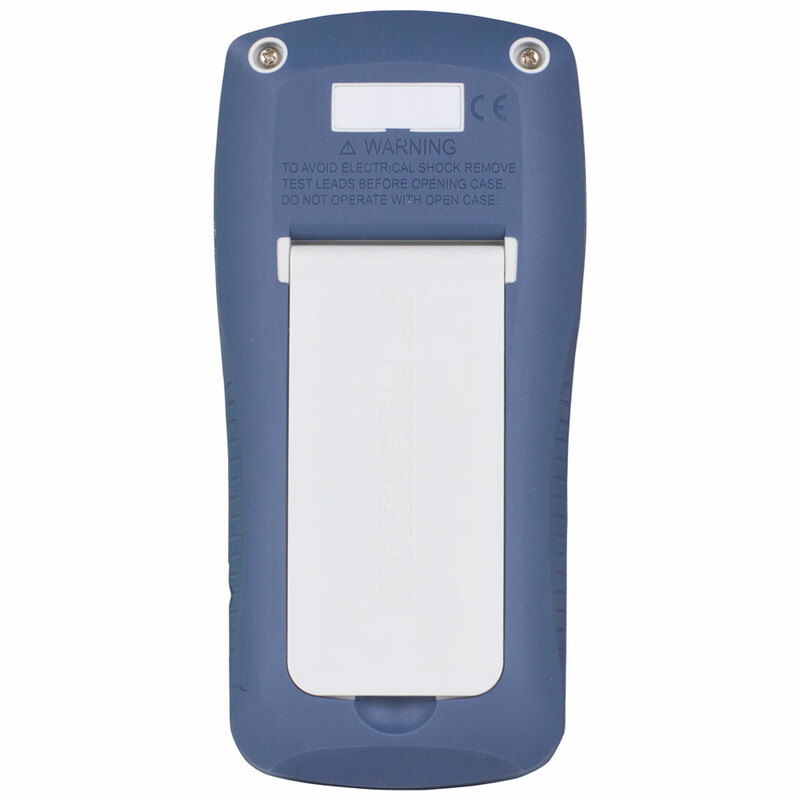 Ordering Information: Models 879B and 880 include a 120 V AC adapter as a standard accessory. To include a 230 V AC adapter, order model 879B-220V or 880-220V. AC adapters are optional accessories for the 878B. 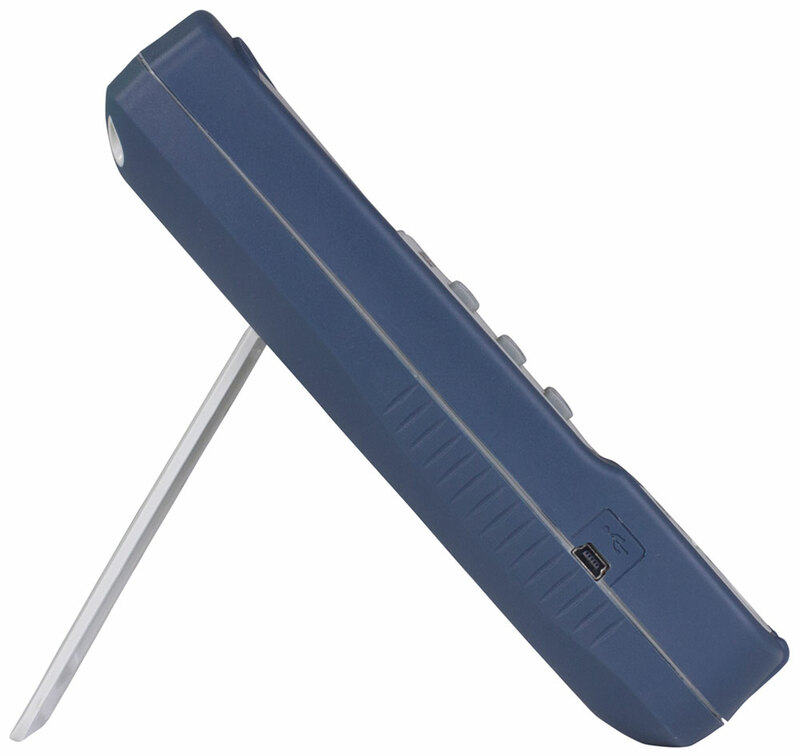 The TL8KC1 is a Kelvin test lead that is useful when measuring leaded capacitors, inductors, and resistors. Cable length is approximately 16 inches (40.64 cm). When used with the 880, the guarded lead reduces the effect of lead impedances and contact resistance thus minimizing measurement errors and improving accuracy especially in the lower impedance range. The TL8KC1 is an included accessory with the model 880. 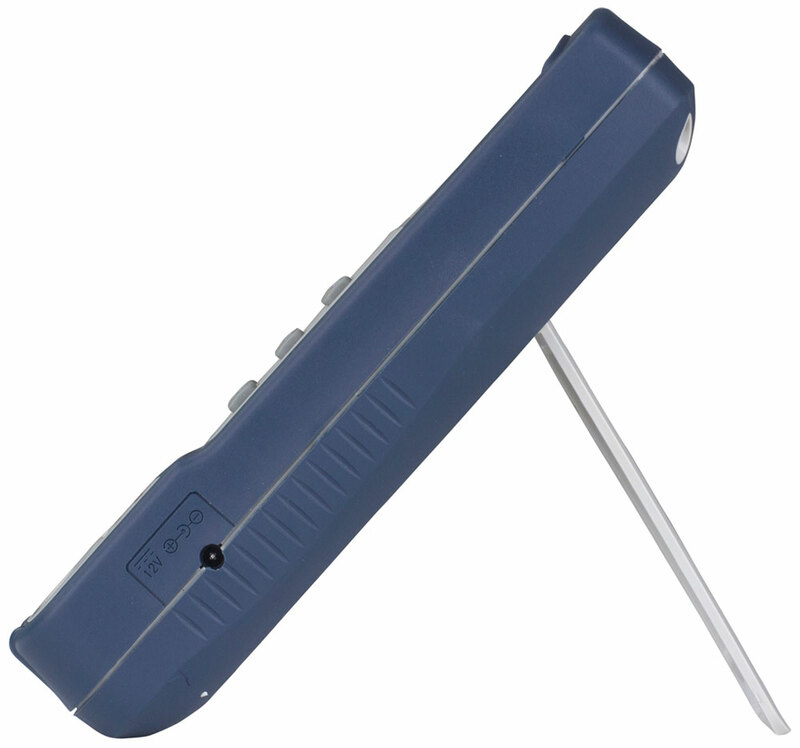 The TL8SM is a tweezer probe that is useful when measuring surface mount capacitors, inductors, and resistors. Cable length is approximately 16 inches (40.64 cm). When used with the 880, the guarded lead reduces the effect of lead impedances and contact resistance thus minimizing measurement errors and improving accuracy especially in the lower impedance range. The TL8SM is an included accessory with the model 880.